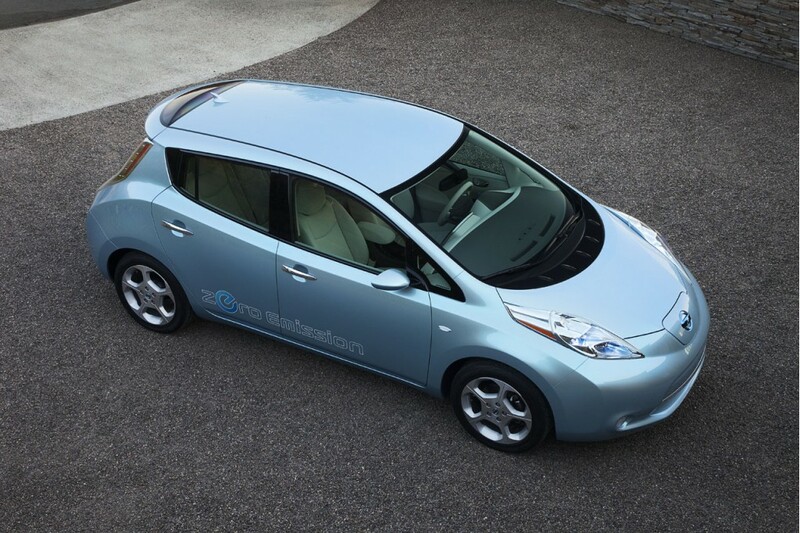 Electric cars will drive over 500 miles on a single charge by 2020. These are the insightful projections of Martin Eberhard, electric vehicle engineering Director at Volkswagen’s Electronics Research Laboratory (ERL) in Palo Alto, California. Mr Eberhard, who joined VW in early 2009, co-founded the Tesla electric sports car company in July 2003, and was ousted from control of the company in 2007. In an interview with british magazine Autocar about the future of electric vehicles (EVs) and VW’s strategy, he provides very interesting updates on the stage of development of the industry. 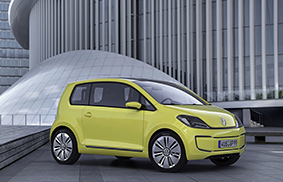 Volkswagen’s current biggest projects focus on the development of lithium-ion battery packs for their future fleet of electric cars (like the Golf Blue-e-motion, E-Up city car, Audi e-tron). As opposed to other manufacturers like Nissan, who are developing bespoke battery packs for their new models, VW are working exclusively with the ‘18650’-type lithium-ion cells found in most laptop computers. Why do VW work with this type of batteries then? ‘18650’ cells, argues Eberhard, are at the leading edge of battery development. Using them means that VW can immediately benefit from state-of-the-art technology, which is also developing faster than any other kind of battery (with 2 billion units produced annually). That rate of development is such that – with the new cells now being delivered – the Audi e-tron prototype should have about 100 kWh battery capacity and do close to 300 miles (480 km) on a charge, instead of the original 60 kWh and just over 150 miles. At the current rate of progress, I’d say we will have banished the range anxiety problem, and will be making EVs with greater than 500 miles of operational range, within 10 years. At that point, the further development of fast charging infrastructure won’t be so important — because how often do you drive more than 500 miles in a day? It’s important to note that whilst a very long range will be paramout for the success of electric cars in the US, range levels as low as 300 miles (480 km) should already guarantee a high appeal to customers throughout Europe, where even those rare long journeys outside of the daily home-office-shop routine are usually well within a 300 mile range. And if all this might already sound as pretty good news, we shouldn’t be surprised if better announcements get released in the near future, outstripping previous anticipations. A lot of R&D is being pursued on the EV market, and the reason is simple: there’s a lot more to it than meets the eye. The scope for development of electric vehicles’ batteries is much wider than what the obvious range-anxiety concerns might suggest. With EVs, the car industry meets the electricity grid, or shall we say, the smart grid. And in doing so, electric cars will become an integral part of it, finally reaching a whole new dimension. For one thing, EVs will help smooth up daily electricity usage, by adding overnight demand (when cars will be cheaply charged in home garages). Then comes the active role of EVs. By being equipped with battery packs, future electric vehicles will enter the electricity grid not just as consumers, but also as providers of energy storage and supply services. Utilities will pay their customers to be allowed to manage a plugged EV, in order to either increase electricity supply during peak hours (by feeding the high power / high capacity car batteries to the grid) or to store excess electricity (coming, for example, from renewable energy sources) when demand is low. Pilot projects are being carried out right now in Europe and the US for this purpose. With such an exciting progress in the making of the EV industry, a huge, untapped new market is soon to open up in our very streets and homes. This entry was posted in Green Cars, Power Storage, Smart Grid. Bookmark the permalink.